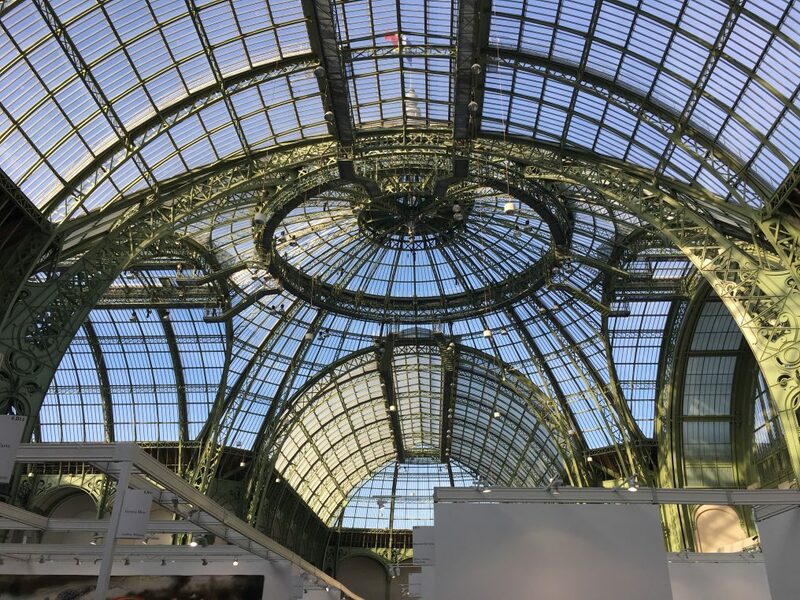 It was a young and very international FIAC, (Foire international d’art contemporain) this year at Grand Palais and I discovered a few artists which is what one wants from art fairs. The Grand Palais looked stupendous in the sun and everyone was still tanned from the summer and happy to be in Paris. 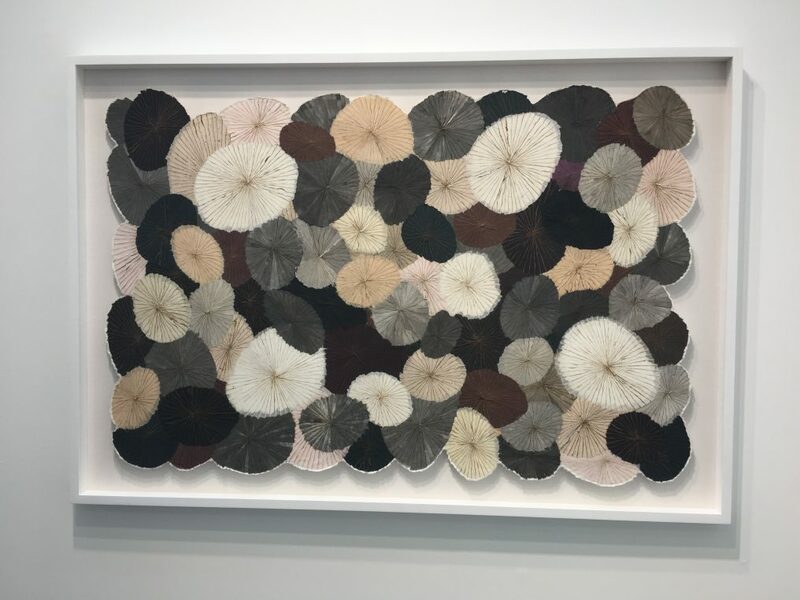 With many exhibitions “off” at Petit Palais, on place Vendôme and in the Tuileries gardens, Jennifer Flay, director of FIAC, has managed to shake Paris and bring contemporary art into everyday life. I started with the first floor with the young artists, where my friend, collector Timothy Cone introduced me to New York artist Robert Bittenbender. 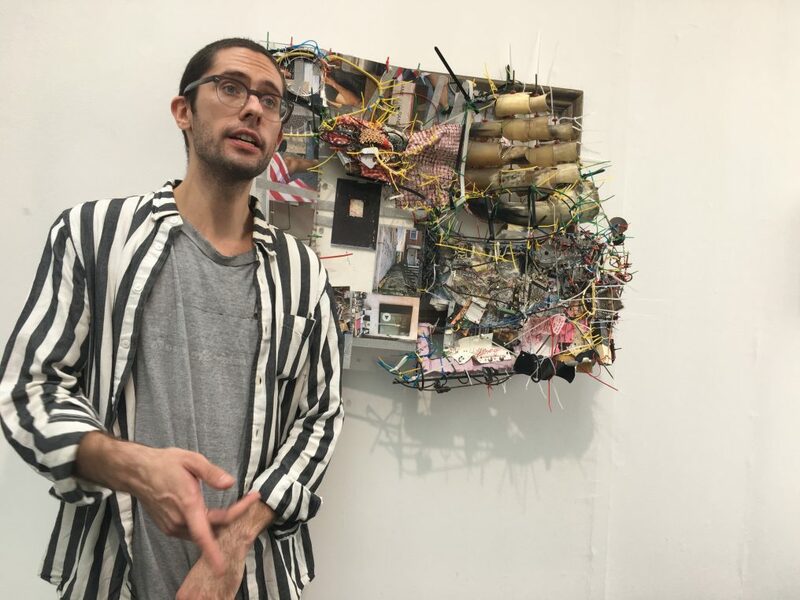 He makes metal and objects compositions which have true chic at Lomex gallery, New York. 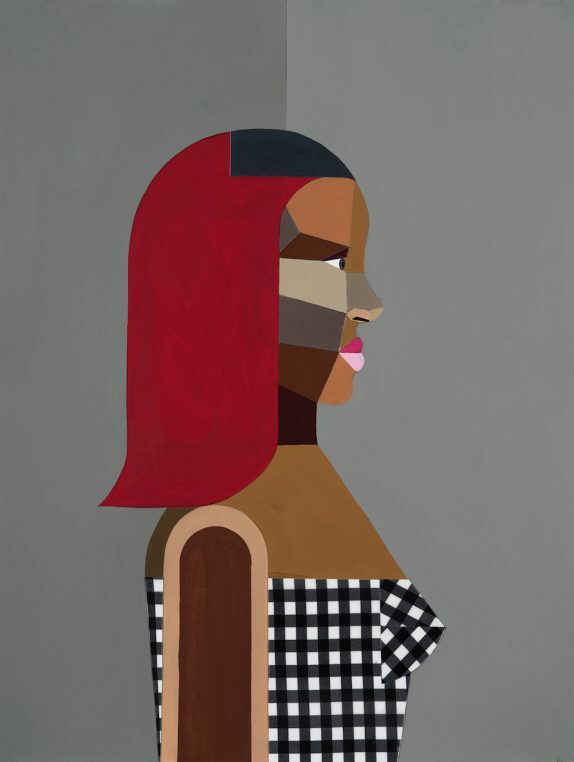 Anne de Villepoix was showing her talented New York artist, Derrick Adams, who has just had a very long show at MAD, Museum of arts and design on Columbus Circle. His paintings sold like pancakes. Downstairs, I fell in love with a South Korean gallery where I wanted to buy everything. A very poetic series of umbrellas made of mulberry Hanji paper “The Street”, by Korean artist Minjung Kim, was beyond my means at 43 000€. 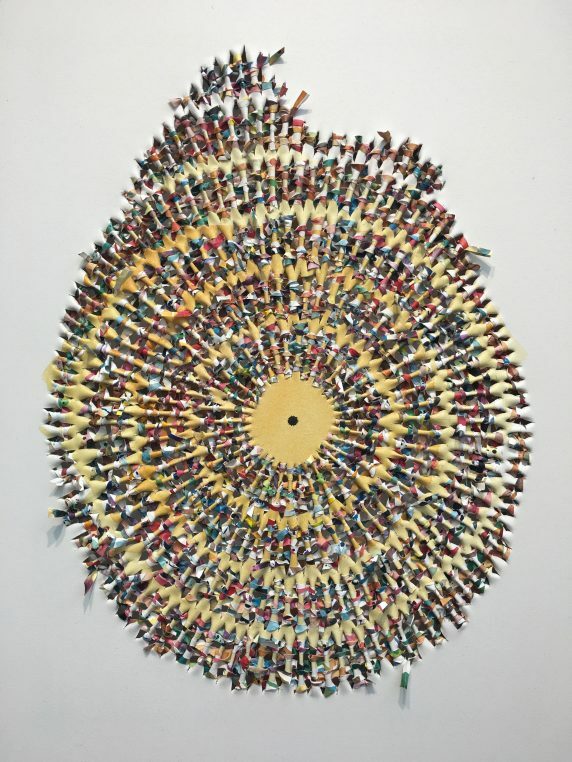 And Shin Sung Hy‘s “Trembling of the surface”, 2006, a piece made of woven canvas, fascinated me. Both artists live in Paris. 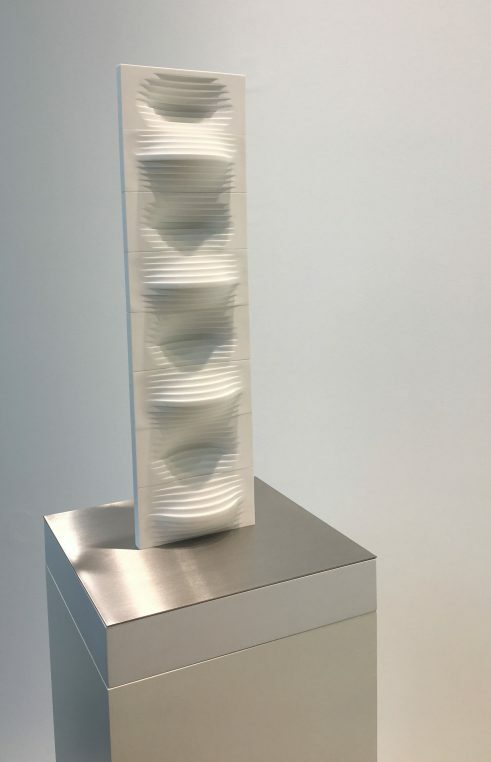 There was a work by Lee Ufan, “Correspondance”, and “Untitled” rope on canvas by Seung-taek Lee and two porcelain compositions “Translated vase” by Yeesookyung which attracted everyone’s eye. 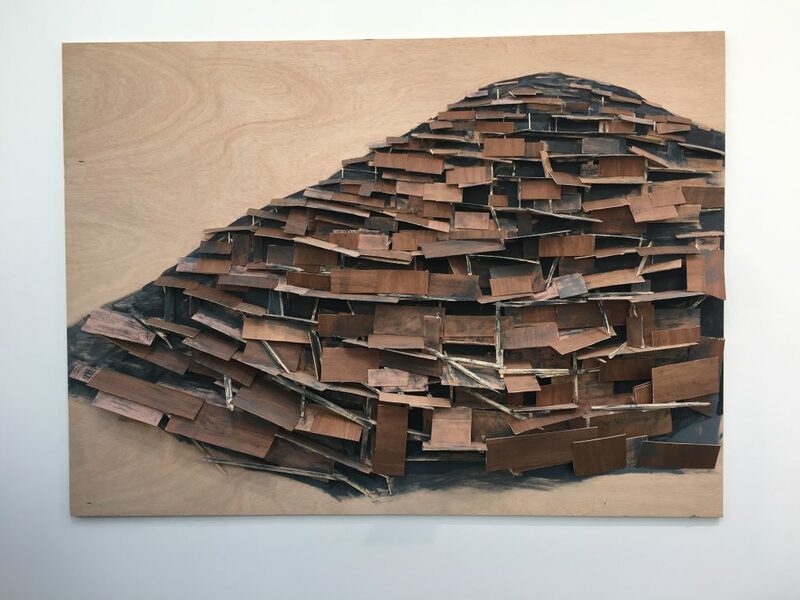 At Annely Juda Fine Art, the lovely London gallery, I saw Tadashi Kawamata‘s “Gesekondu n°3, 2018”, a balsa wood and acrylic work on plywood which was intriguing. Manufacture de Sèvres was showing at the bottom of the main stairs, a few new works by Argentinian artist Julio Le Parc who is doing a year’s project with them. His white porcelain pieces are hard to photograph but the effect of his kinetic art on china is fabulous. Daniel Templon had as usual a very large stand with Kehinde Wiley and Gérard Garouste among others and at David Zwirner, I loved the “Very large cradle” in cast bronze by Sherrie Levine. Less contemporary but nevertheless high quality, Gallery Guillermo de Osma from Madrid had a curiosity: a collective drawing with the heads of surrealist artists who all left Marseille together for New York in 1940. Oscar Dominguez, Victor Brauner, Wilfredo Lam, Jacques Herold, Daniel Bénédite, André Breton and Jacqueline Lamba-Breton. It is a unique historical document which only an art historian could have found. 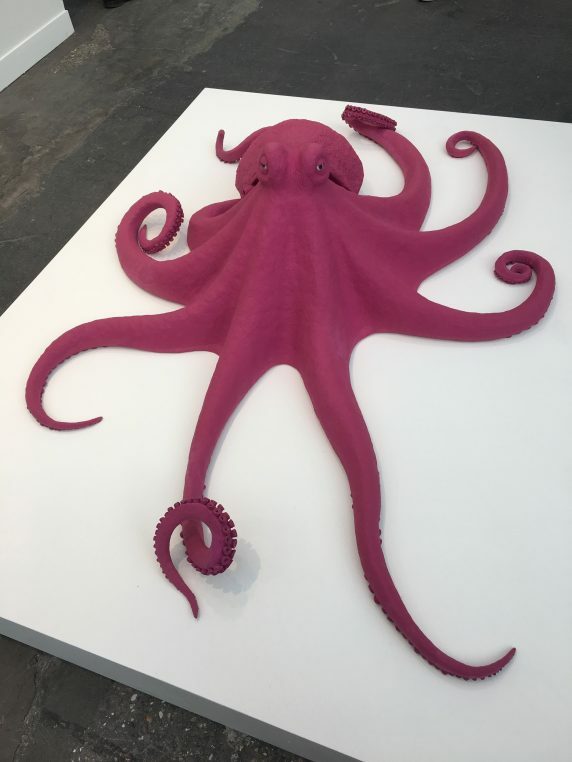 Towards the end of my three hour visit, I loved “Octopus” 2014, by Carsten Höller at Massimo de Carlo. I met many friends, professionals from all over the world and the vision of the glass roof of Grand Palais illuminated in the evening was perfect bliss.